Student participation is important because if students don't eat school lunches, the districts will lose important revenue to help provide those lunches for the students who do eat them. Student participation is also important because schools can play a greater role in providing healthier nourishment. Higher nutritional value is important because it directly relates to school performance. Over the last several years, there's been the addition and removal of many regulations aimed at helping kids get healthier school lunches, but no matter where a specific district stands on the regulatory issues, pretty much everyone agrees healthier options for students are a good thing. Of course, these options must also be tasty, or the school will lose participation. Finally, cost is important for obvious reasons. A school district will only have a certain allotment of funds available to purchase each meal. A district will need to make new equipment purchases, upgrades and service. These decisions play a direct role in the quality of food they can provide, both from nutritional value and an appeal to student tastes. These are not the only challenges a school will face, though. The biggest challenge right now, in fact, might be labor. It's increasingly difficult for school systems to find, hire and retain good employees. The restaurant industry can pay more, but even the restaurant industry is having a hard time. Another challenge is facilities. What type of condition is the cafeteria in before the school year starts? What changes need to be made during the year? Is equipment aging or breaking? Is the school making the best use out of the space it has? Does it even have enough space? There are a lot of questions when it comes to facilities. Now, let's combine all of these challenges and see how they relate to school foodservice refrigeration. The number one goal of a school refrigerator or freezer -- actually the number one goal of the entire school nutrition program -- is to serve safe and healthy foods to students and staff. No other piece of commercial foodservice equipment is more aligned with the overall goals of the program than the refrigerators and freezers. This means walk-ins must work properly. Foods must be stored according to HACCP regulations. Equipment must work to preserve the nutritional values of the food. Space is critically important in any foodservice operation, but especially in schools. 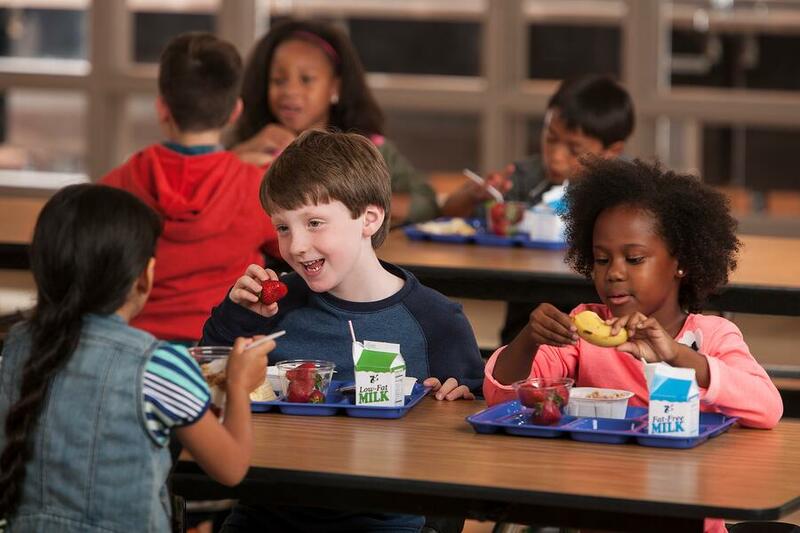 In some cases, reduced kitchen sizes can impact the speed and efficiency with which a school can provide high volume lunch service to thousands of people. This means students have less time to eat, making them more likely to bring lunch from home, meaning it hurts the overall participation levels. In terms of refrigeration, if a school cafeteria can free up space by reducing the number of compressor required to cool the walk-ins, or if those compressors can be remoted outside the building, it can make better use of the space provided. This is certainly a subset of the budget challenges we discussed above. As more and more schools look at year-round sessions, school walk-in refrigerators and freezers are going to use more and more energy in those brutally hot summer months. Even in January, though, it's possible to reduce the energy levels a walk-in consumes by as much as half while also adding redundancy making food storage safer. This can happen with even some simple changes or upgrades in your school foodservice refrigeration systems. Are you a school district looking to lower your school's electricity bill? Are you a consultant working on energy efficient initiatives in a particular district? Are you a dealer helping a school upgrade its aging equipment? See if you qualify for an Energy Study from RDT. To find out, just click the image below.